I’m thrilled to be returning for my 3rd art trail this year exhibiting at the Educational Institute in Arnside where I will be showing a range of embroidered textiles, limited edition prints and wire sculptures. Get involved with our instillation this year – ‘MURMURATION’!!! 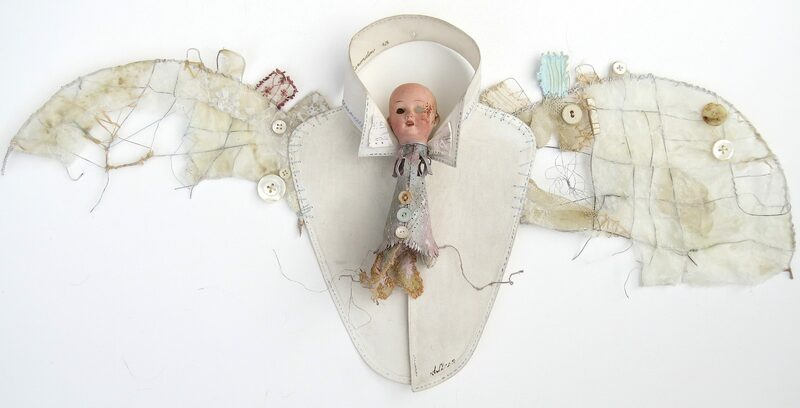 I will be colaboritng with artist Christine Stanford this year engaging visitors to create a sea bird sculpture using paper, fabric, wire and a host of other materials. The sculpture will be big, bold and stunningly beautiful and you can help us make it happen – drop in any time Christine and I will be there 11-3pm Sat & Sun in the sunny Courtyard at the EI – no creative experience necessary just bring enthusiasm. The Handmade and Vintage Festive Market is this Saturday everyone! I’m delighted to be taking part in this fabulous fair!!! It’s an independently curated event offering designers, makers, performers and vintage traders the opportunity to offer their wares to the world. There will be over 40 stalls with makers selling from all over the UK!